Father Thomas Hickey, C.Ss.R., died on Wednesday, December 27, 2017, at St. John Neumann Residence (Stella Maris), in Timonium, Md., at age 90. He had moved to Stella Maris after cancer surgery. He was born to Patrick and Alice (Clancy) Hickey on June 22, 1927, in Our Lady of Perpetual Help Parish in Brooklyn, N.Y.
After finishing elementary school, he went to Brooklyn Tech for a year before entering St. Mary’s College, the Redemptorist high school seminary in North East, Pa. After completing his novitiate in Ilchester, Md., he professed his vows as a Redemptorist on August 2, 1949, and was ordained a priest on June 20, 1954. His first assignments were to the Vice Province of Richmond, and in 1956 and ’57 he served in Elkton, Va., and Opa-locka, Fla., respectively. He was then transferred to North East, where he taught algebra, geometry, and mathematics while studying three nights a week at Gannon College in Erie. Even though he was just a chapter or two ahead of his students, he was one of the best teachers amid a faculty of great teachers, some of whom had doctorates. In 1963 he returned to the Vice Province of Richmond and served in the following locations: Jacksonville, Fla., 1963 to 1965; Newport News, Va., 1965 to 1969, New Smyrna Beach (Sacred Heart Parish), Fla., 1969 to September 1971; Orangeburg, S.C., September 1971 to March 1973; Griffin, Ga., March 1973 through 1974; Concord, N.C., January 1975 to October 1975; Tampa (Epiphany of Our Lord Parish), 1975 to 1977. In 1977 he was stationed at St. Cecilia Parish in New York and served as chaplain at Mount Sinai Hospital. He made friends at Mount Sinai that would last the rest of his life. In 1992 Father Hickey was transferred to his home parish in Brooklyn and began to preach Matt Talbot Retreats for recovering alcoholics. He remained at Our Lady of Perpetual Help after he retired at age 75. 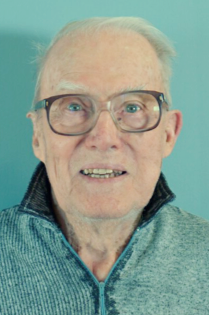 Father Tom remained physically active throughout his life. He biked in Brooklyn and throughout the Jersey Shore. He swam two or three times a week and took long walks in New York City. A wake will be held for Father Hickey at 7:30 p.m. Wednesday, January 4, in the lower church of the Basilica of Our Lady of Perpetual Help in Brooklyn (526 59th St., Brooklyn, NY 11220-3899). His funeral Mass will be celebrated at 10 a.m. Thursday, January 4, also in the lower church at OLPH.